Miracle Marathon: What Is It & Why Should I Care? I recently applied to be a ‘Miracle Maker’ for the ‘Miracle Marathon’ official campaign in the Kansas City area. Although I was not chosen to take part in that campaign, I feel strongly enough about the cause that I wanted to share some of the stories behind it. The director for our area contacted me directly to supply me with the stories I am going to share with you. It’s all about the children who receive medical care as a result of the Miracle Marathon. The Pediatric department of the University of Kansas Medical Center is doing an outstanding job of helping the families of the children it cares for. They are a partner with the Children’s Miracle Network Hospitals. In 1985 the Pediatrics Department became an official partner of the Children’s Miracle Network Hospitals. The Miracle Marathon runs from September 16 – October 12 this year. Basically you walk, run or just plain move for one mile every day for 27 days. On day 27 the final mile is completed at the same time as a group, no matter where in the world you are. It’s a marathon, plus a mile, for the kids. Raef Meinhardt, of Parkville, MO, is a charming 7th grader who loves playing all kinds of sports. If you were to meet him, he would love to chat with you and ask about your family and pets, but he likely wouldn’t mention all that he’s overcome in his short lifetime. Although he seemed healthy at birth, by the time he was just a few months old he began having seizures. The seizures progressed quickly, so that by the time he was 6 months old he was having 200-300 seizures every day. In order to treat the life-threatening seizures, Raef had radical brain surgery (right hemispherectomy) at 8 months of age, and he has been seizure-free for nearly 12 years now. His health journey didn’t end there, however. He also has Neurofibromatosis Type I, a genetic condition that causes tumors to grow along the nerves, and just before he was 2 years old pediatric oncologists at KU discovered a tumor on his optic nerve that threatened his vision. That discovery led to 14 months of chemo at KU Med Center, which stabilized the tumor. No one knows what further health challenges he might face, but at this point he is very active, healthy, and happy, thanks in large part to the excellent treatment he received from the talented pediatric oncologists at KU. Jordan (17), and Bailey (15) are brothers who share the same rare, genetic disease: Shwachman-Diamond Syndrome, which is an inherited bone marrow disease that affects many parts of the body, particularly the blood cells, pancreas and skeletal system. They live with the high risk of mortality through over-whelming infection, bone marrow failure or leukemia. Jordan and Bailey both take over 35 pills each day, give themselves daily injections, spend an hour twice a day receiving nebulizer breathing treatments, and go to the hospital monthly for an all-day IV infusion of immunoglobulin all in an effort to stay healthy. When they become ill, it becomes a serious, possibly life-threatening event as their bodies don’t have the ability to fight off infections normally. The brothers have been hospitalized over 100 times combined during their lifetime battling illnesses, including several of their birthdays, Christmases and several other holidays. This doesn’t count “healthy” times for bone marrow biopsies, labs, tests and other procedures, such as placing a port, etc. Despite it all, Jordan and Bailey fight through the tough times and live full lives in between episodes of illness. Jordan is a stellar set designer and lighting and sound engineer, lending his skills to the theatre department at Olathe East High School where he is a thespian officer. He is also a leader in youth ministry at the conference-level for the United Methodist Church. He loves watching football and basketball and participating in fantasy leagues. After graduating from High School, he plans to attend UMKC majoring in Tech Theatre. Bailey is a virtuoso violinist, serving as section leader in the Advanced Orchestra at Olathe East and playing in the Olathe Youth Symphony, as well as performing solos and ensembles at local events. He even appeared with his fiddle in a recent music video by his favorite Irish band, “The Elders”! He also plays the mandolin and drums and dazzles on stage as an actor in plays at his high school. Bay loves baseball, especially the Royals and the Boston Red Sox, and has a passion for music and all things Irish. His goal is to be an orchestra teacher and performer one day, as he feels music is “healing”. Jordan and Bailey receive care at The University of Kansas Hospital and Medical Center through the Pediatric Department. Without the care of the amazing staff at KU and the help of Children’s Miracle Network Hospitals of Kansas City, they wouldn’t be here today. Elizabeth, Cameron, Matthew and Zachary were born premature at 28 weeks, 6 days. They weighed from 2 lbs, 8 oz to 2 lbs, 14.5 oz. They had to learn to breathe on their own, bottle feed and hold their body temperature. They spent three months in the NICU at KU Medical Center and to date are the only quadruplets ever to be born at KU. The quadruplets had regular follow up visits until they were 2 years of age. Now, they are five years old and doing amazing! They love to do arts & crafts, play superheroes (Elizabeth is Wonder Woman, Cameron is Batman, Matthew is Spiderman and Zachary is Superman) and play outside. They even enjoy cooking and helping mom clean around the house. They are eternally grateful to KU and Children’s Miracle Network Hospitals for taking such great care of their babies and have helped them become the healthy kids they are today! These are just a few of the stories of the children and their families that have been helped. You do not have to take part in the marathon itself to help. You can sponsor one of the Miracle Makers, those who are actively taking part by walking or running. Donations are always welcome. Remember, it’s all about the children. Those children are amazing. And their parents must be as equal in their support. There are so many worthy health causes that my husband contribute to in either time, energy or money over the years. There a just a couple, and now yours, where I can recall the people's stories. Thanks so much for posting these stories of bravery, hope and love Cheryl. Cheryl, I couldn't find your name, so I just made a general donation. At one of my previous gigs in the corporate world, the company was a big supporter of the Children’s Miracle Network with a lot of team member involvement. CMN is a wonderful organization that does a lot of good work. Thanks for sharing that with everyone and spreading the word. It is one of the really good organizations doing good work out there. 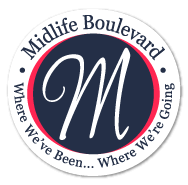 The Miracle Mile sounds like such a wonderful idea to help lend support and thank you for sharing some of your local stories. What a great cause to champion! It's so cool that you are jumping into the cause even when it is on your own. Miracle Marathon really is a commendable project. Poor children. Their stories are really heart breaking. Glad you champion it.